Check back for drop off locations and dates! Otsego County Soil and Water Conservation District has a Agricultural Plastic Baler to assist local area farmers with a viable alternative to dispose of their agricultural plastics. 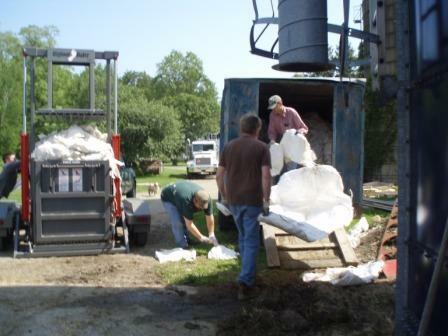 In 2011, the District began partnering with Cornell University, NYS Department of Environmental Conservation and the Otsego County Conservation Association to promote and implement a Recycling Ag Plastic Program (RAPP) in Otsego County. The goal of the program is to provide local area farmers a viable alternative to disposing of their plastic other than burying or shipping to the nearest landfill. RAPP in Otsego County is still in a developmental phase, but recycling projects are underway and we have successfully baled thousands of pounds of plastic already. Program staff visits the farm to inspect the plastic and provides the farmer with the Best Management Practices (described below) associated with participating in the program. A date is scheduled for the baling of the existing plastic. 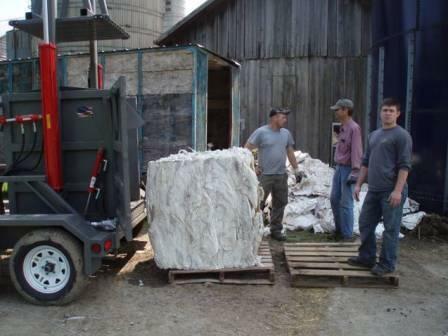 When complete, the bale remains on-farm until it can be transported to the staging area. The farmer adopts the prescribed practices for the future collection of plastic. Eventual training and certification of participating farms in the use of the baler. Types of plastic that are accepted include: silage bags, bunker covers, bale rap & containers.